Engr. Prof. Abiodun Musa, AIBINU, is a highly motivated career driven achiever with over Eighteen (18) years working experience in the field of: Mechatronics Engineering; Telecommunication Engineering; Spectrum Management; Industrial Automation; Teaching; Research and Project Development. However, his main areas of research include Digital Image processing (DIP), Digital Signal Processing (DSP), Artificial intelligence and Embedded systems. He received: National Diploma award from The Polytechnic, Ibadan, Nigeria; B.Sc degree from Obafemi Awolowo University (OAU), Ile-Ife, Nigeria; M.sc degree from Blekinge Institute of Technology (BTH), Sweden and Doctoral degree award from International Islamic University Malaysia, (IIUM), Malaysia. He has been actively involved in teaching and research activities at various universities since the completion of his post-graduate studies. However, prior to that he has worked with: MTN Communication (Nigeria) Limited; GS Telecom (Nigeria) Limited; DCC Satellite and Networks Limited; Oganla Consulting and Investment (OCI) limited; Communications Associates (COMSAC) (Nigeria) Limited just to mention but a few. 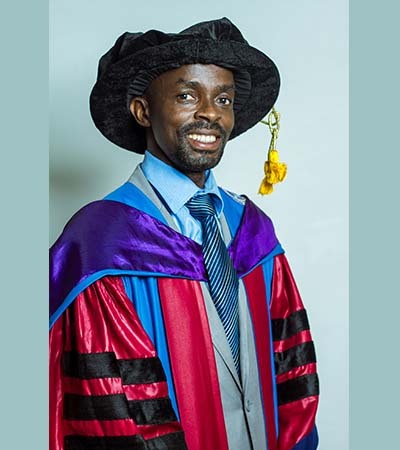 Prof. Aibinu has participated and won several awards at various international and national exhibitions and was nominated for 2012 promising researcher award and best teacher award at IIUM Malaysia. He has also won several research grant awards in and outside Nigeria and has authored/co-authored several publications in both local and international journals and conferences. He is presently, the Head of Department, Mechatronics Engineering Department, Federal University of Technology, Minna and the Director, Center for Open Distance and e-Learning (CODeL), Federal University of Technology, Minna.